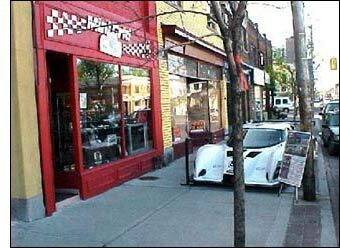 It should be noted that the design philosophy chosen for the car was to 'focus' primarily on drag reduction. It was felt that this would help to balance the conservative horsepower allotment as specified in the rules. 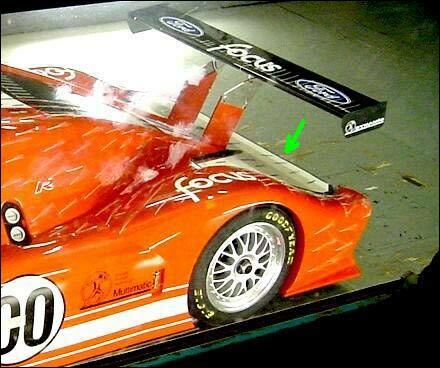 Multimatic conducted their wind tunnel testing, proving that Franco Acacia's design indeed had what Larry Holt terms "industry leading (drag) numbers." Unfortunately, they also discovered that the fastback shape with channels between the fastback and the fenders produced lift in the rear! While counterintuitive from a common-sense standpoint, it actually makes sense from a fluid-dynamics (Bernoulli) approach. The Bernoulli equation states that the energy of a fluid system remains constant when you include frictional losses, and the energy is divided into potential, velocity and pressure energy. Essentially, energy can be traded between velocity and pressure. Low drag means good airflow, and higher airflow speeds over the fastback result in lower pressure. 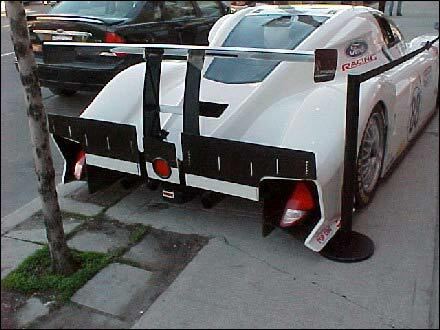 In an attempt to reduce this lift, the rear area channels were filled in, by Bernie Marcus, to provide a more continuous profile towards the rear of the car – and this added significant downforce to the rear with, a minimal increase in drag. Since the original shape of the Focus had been approved by Grand American, another solution was sought to avoid having to reapply for approval. A gurney was bolted on to the rear, and tested at various heights. 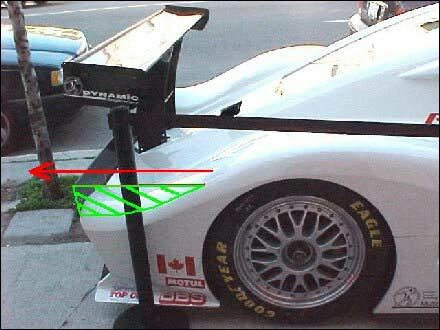 It was found that this gurney had almost the exact same effect as the filled in space, and that they gained the same significant downforce with only a slight increase in drag. “Probably the most cost-effective improvement we’ve ever made,” Holt said. 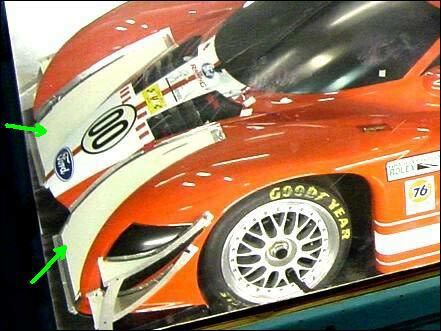 Incidentally, an attempt was made to reduce drag at the front by filling in the scoops between the nose and fenders, and it was found that reducing drag also reduced downforce - at about a 4 to 1 ratio! These infill panels have since been abandoned. Larry Holt calls the dive planes "the second most cost effective aero improvement that we found." Scott Maxwell is hosting Motorsports Meet and Greet sessions this summer at Minigrid, with various people from within industry. The next session will be in early July with Ron Fellows. Those interested can sign up by contacting Minigrid staff by phone or email as listed on their website.